Returning to one’s native place and building a home is a universal desire. This video project explores this theme in Miziara, a mountain village in North Lebanon. Two-thirds of its population live in cities. Many return every summer and build homes, at times without consulting architects. The artist collaborated with the El Bacha family that lives and works in Beirut and maintains a summer home in the village of Miziara. He invited Hamid El Bacha (b. 1958) and his son Michel El Bacha (b.1981) to envision a house on a user-friendly design software they use. The film follows father and son on their design journey. They debate, collaborate, and design, while showing disregard towards the grammar of architecture. The house is patriarchally divided - the floors are designated for grandfather, father and son. As the floors stack up a generation gap unfolds, moving from traditional towards an urban vision. 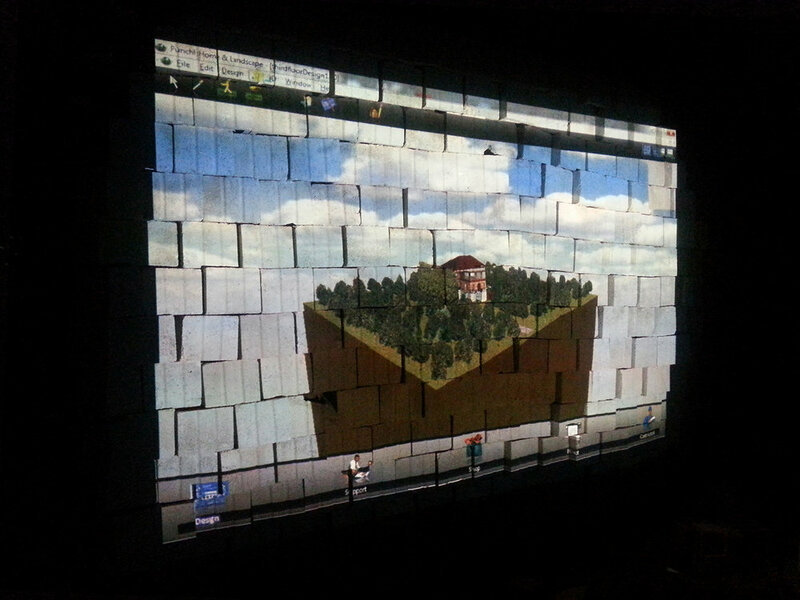 This project was made during a residency in Miziara organized T.A.P. (Temporary Art Platform), curated by Amanda Abi Khalil. 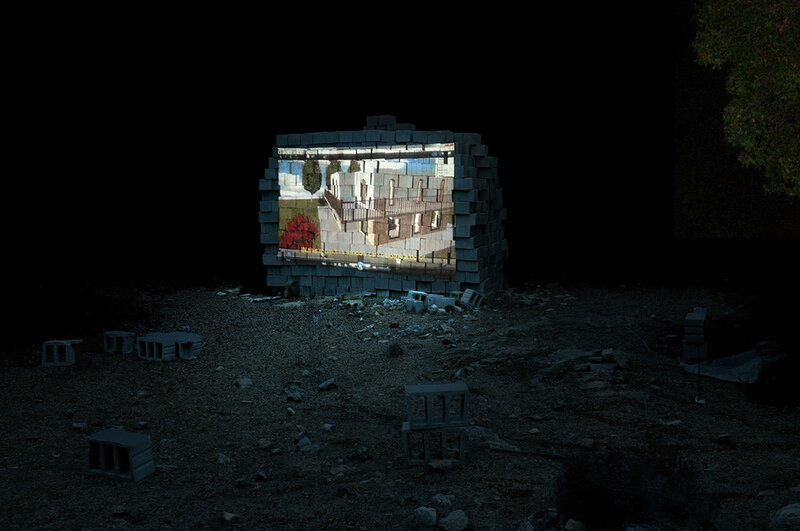 The video was projected on a stack of cinder blocks found in the forest of Miziara and viewed by the local community.